Hansgrohe taps & showers offer an elegance that is second to none. Browse the collection and buy online today. Hansgrohe are the brand leaders in bathroom brassware. 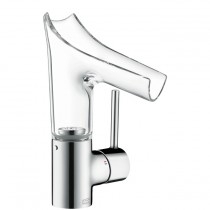 Fountain Direct have a wide range Hansgrohe luxury taps including basin, bath, bidet and shower mixers. They have developed original design innovations such as Raindance, Talis S and Axor Massaud.